DENVER, Colo. – Frontier Airlines is committed to families, and what better way to demonstrate that than helping America’s kids fly for free. That’s right, today the low-fare airline announced that children 14 years and younger can now fly free when travelling with an adult through the airline’s Discount Den travel club on qualifying flights. With more than 100 destinations to choose from, Frontier is removing the obstacles for families to travel together whether it’s for a sunny vacation or a visit to grandma’s house. Only kids qualify for a free fare -a “kid” is anyone 14 years of age or younger on the first day of travel. Lap children do qualify but should be booked at time of initial booking as a child instead of a lap child. Kids Fly Free is available for select domestic flights and cannot be combined with other offers or promo codes. International flights are not included. Offer not valid on overnight connections. Offer valid for the dates below that are subject to change so book early. Offer does not include bags, seats, and other travel add-ons. Tickets must be purchased by 11:59 p.m. Eastern time on Feb. 12, 2019, for domestic travel within the continental United States. Travel is valid through Aug. 11, 2019, on a specific day of the week as listed. 14-day advance purchase required. Tickets purchased at FlyFrontier.com must be paid for at the time the reservation is made, you may request a full refund up to 24 hours after the time of purchase if the purchase is made 7 days (168 hours) or more prior to your flight's departure. After the 24-hour period, tickets cannot be changed, cancelled or refunded. No name changes allowed. 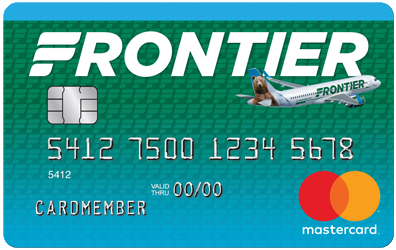 Additional travel services, such as baggage (https://www.flyfrontier.com/travel-information/baggage/) and advance seat assignments (https://www.flyfrontier.com/travel-information/seating-options/) are available for purchase separately at an additional charge. Fares include all transportation fees, surcharges, and taxes, and are subject to change without notice. Some markets do not offer daily service. Schedules are subject to change without notice. Unless otherwise indicated otherwise, all flights are operated by Frontier Airlines. Other restrictions may apply.